Beautiful gold filigree stick pin with green cabachon beads. Marked on back Made in Germany West. 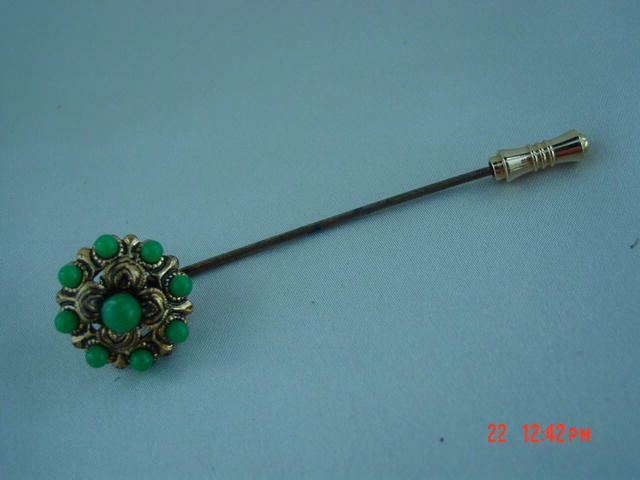 Items Similar To "Gold Filigree Stick Pin With Green Cabachons Made in West Germany"